LONDON (Reuters) - Britain's economy has struggled beneath the weight of Brexit uncertainty for nearly three years, but many business leaders would probably be relieved just to have more of the same for the next few months. The shock would also be felt in Europe where Britain's closest trading partners are struggling. "It would be a material shock for the EU at a difficult time," Brian Coulton, chief economist at ratings agency Fitch Ratings, said. "Among the things that could tip the euro zone into a recession, it might be a candidate." While his preferred option was for Britain to leave EU with a transition and then hammer out a trade deal, he said a no-deal Brexit would not be a disaster because progress has been made to prepare Britain's finance industry, ports and logistics. "It’s like a kick in the groin. It depends how hard the other side wants to kick you, and how well you maneuver yourself," Lyons said. 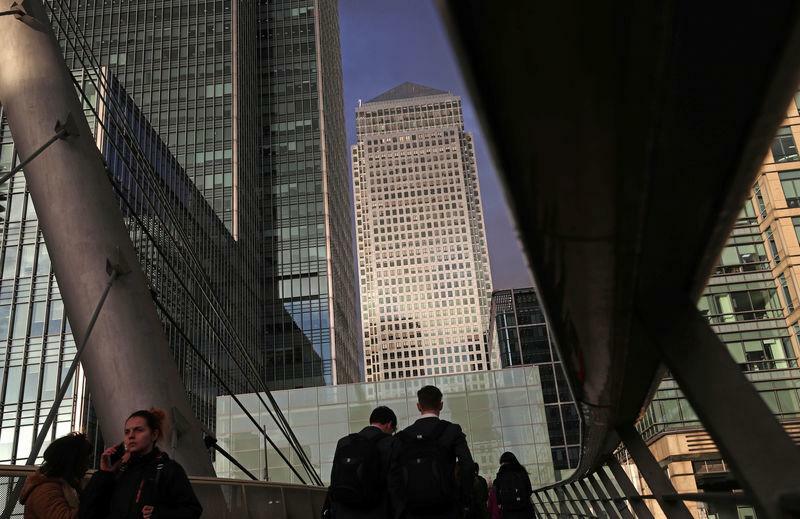 The BoE has said a worst-case no-deal Brexit scenario -- in which Britain loses the confidence of global investors and chaos hits transport and ports -- could mean that the economy is 5 percent smaller in three years' time than if the country stayed in the EU. Any gains from free trade deals with countries such as China or the United States would be "relatively modest", Britain's independent budget forecasters have said. "Our country is facing a national emergency," the Confederation of British Industry, a major employers group, and the Trades Union Congress umbrella group said on Thursday in a rare joint letter to May, urging her to avoid a no-deal Brexit.